In early morning 19th January 2019, more than 1900 runners from 39 countries have participated in Vietnam Trail Marathon (VTM 2019) in Moc Chau Province. The runners have excellently conquered the interesting yet challenging race with the great support of dedicated medical staff from Hong Ngoc General Hospital. Vietnam Trail Marathon is first launched this year, opening an opportunity for runners to explore magnificent and mysterious trails of Moc Chau by running across the ethnic minorities’ villages nestled among majestic scenes of nature. The marathon attracts more than 1900 runners including both Vietnamese and foreigners competing in 10km, 21km, 42km, and 70km distances. Some renowned Vietnamese people such as Miss Vietnam 1994 – Thu Thuy, Mrs. Chau Smith – Triple7Quest runner, and Huy Tuan musician also join in the race. 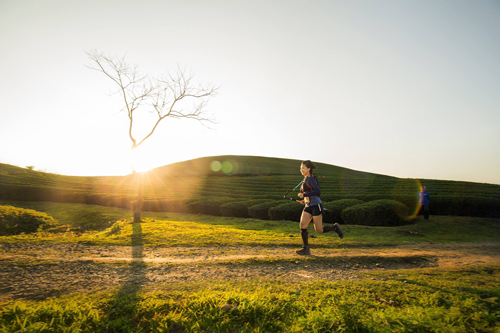 Apart from having a chance to challenge themselves in steep and hard trails which require comprehensive trail running skills, the runners of Vietnam Trail Marathon 2019 are invited to take in the surprising beauty of Mu Nau valley in the blossoming season of plum flowers. This unique trail has given memorable impression to Vietnamese and international runners. 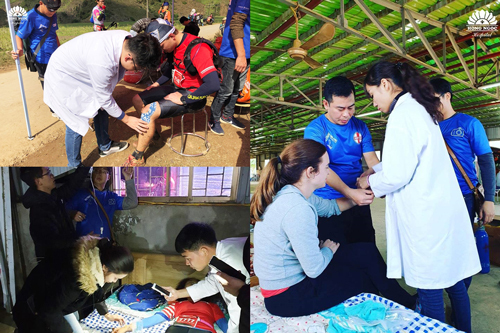 The success of Vietnam Trail Marathon 2019 is greatly contributed by the medical team of Hong Ngoc General Hospital. 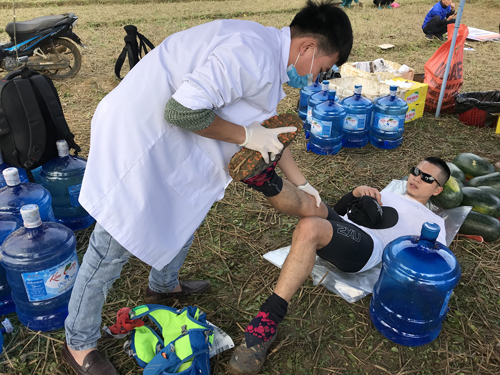 Acknowledging that the races are extremely difficult with various types of terrains, Hong Ngoc General Hospital, in collaboration with VTM 2019’s organization board, positions 9 check-points to best support runners. The medical team of Hong Ngoc General Hospital consists of 4 doctors, 8 nurses and 2 ambulances working from 4am to 10:30pm. They stay at the check-point for the whole day to ensure that runners’ health condition is at the safest level. By the end of the day, the runners finish their challenging race with satisfaction and happiness after successfully conquer the dreamlike trails of Moc Chau. Hong Ngoc Hospital’s medical staff enjoy their happiness of completing their mission to accompany with running lovers in such a great marathon. Many runners has sent their thanks and nice words to the organization board and Hong Ngoc medical staff who supported them during the race. “The medical team this time is so lovely. 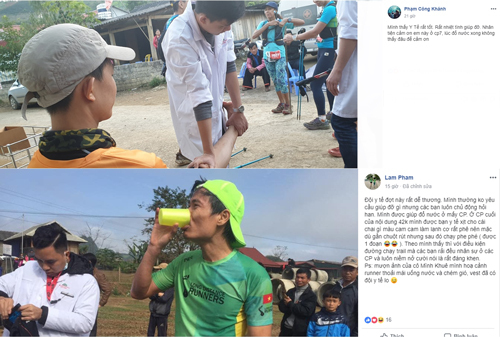 Actually I didn’t need any help from them but they always care us and ask whether we need support… As I see, with the condition of trail marathon, the way they assigned staff to different check points and their nice attitude are commendable”, said runner Lam Pham. 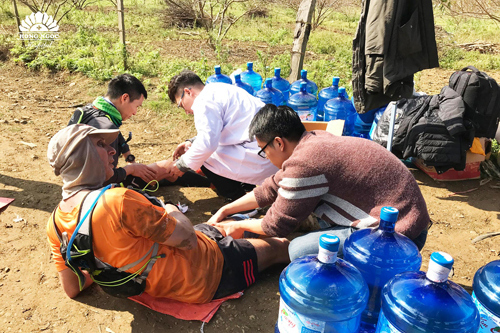 The compliments and encouragement from runners participating in the marathon is the clearest proof for the effort of Hong Ngoc medical team. This also brings happiness and is the source of motivation for us to continue our journey, completing the mission of build a healthier community.